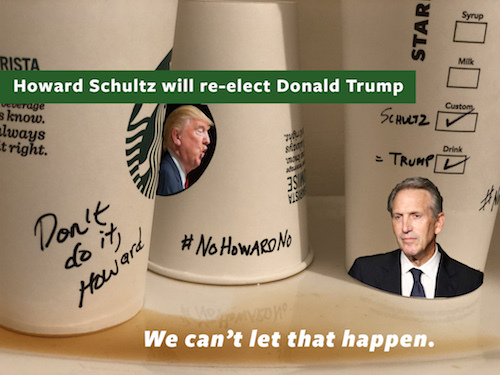 Howard Schultz could singlehandedly be the key to re-electing our worst president ever and his corrupt administration. We need a united effort to forcibly oppose Schultz – and we’re asking for you to join us. American Working Families has launched a #NoHowardNo campaign. Please join our effort because we need your help. ©2017 American Working Families. All Rights Reserved.